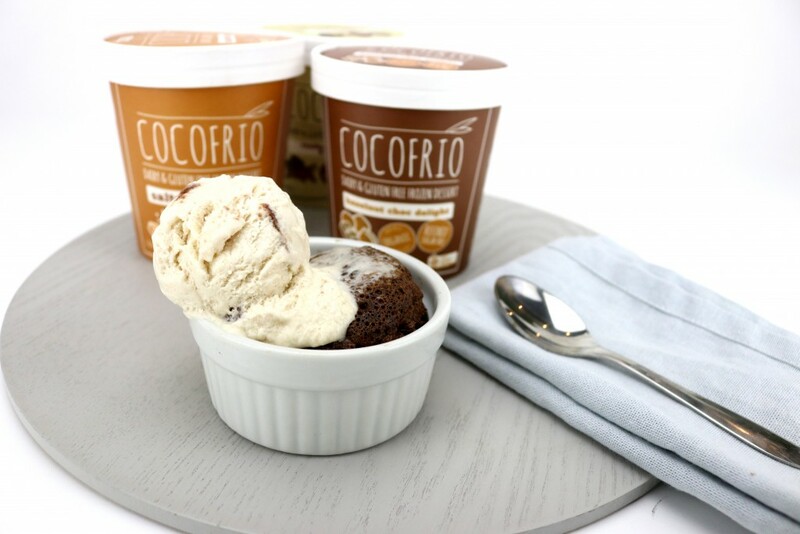 Place all ingredients except the cacao nibs and Cocofrio into a ramekin bowl or mug and stir until all the ingredients are mixed well and resemble a batter. Place in the microwave for 1 minute and check if it has cooked. If it has risen and the centre bounces back when you touch it, it is done.